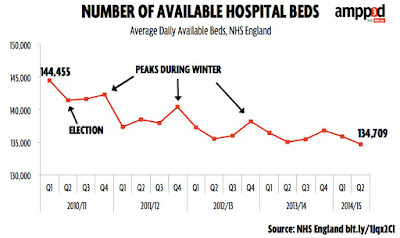 The 'winter crisis' in the NHS is a crisis of the government's own making. It is the result of the real cost of the £20 bn efficiency savings forced on the NHS. This is the truth behind the headlines of bed-blocking. 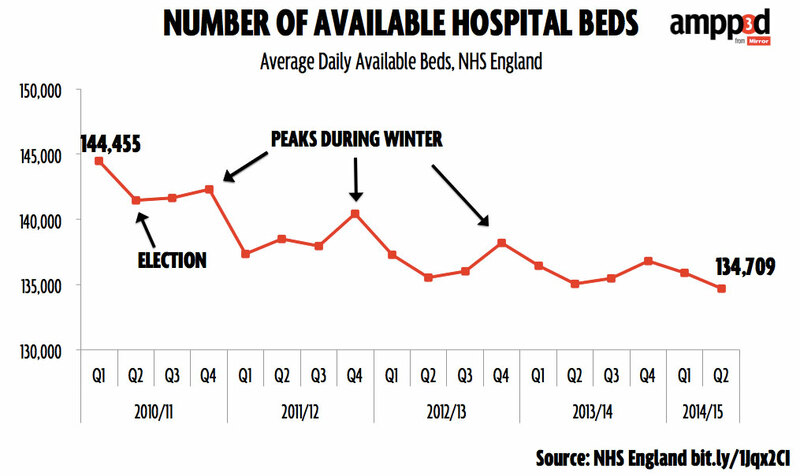 The bed shortage is because we don't have enough beds to cover increased demand over the winter. This is the reality. OECD figures show that in England and Wales there are just 2.95 beds per 1,000 people. This compares with 6.37 in France, 7.65 in Austria and 8.27 in Germany. And before the Scottish Nationalist Party pipe up, the Scottish Government figures show their figure is down 21% compared to 2004. But England and Wales are way behind the 4.95 beds per 1,000 in Scotland. Nevertheless, Scottish hospitals have shed beds at a faster rate than almost anywhere else, with more than 5,000 disappearing in just seven years. In North Wales more than 400 beds have been lost over the last five years. In response the government would say it is due to “ongoing changes in the way modern health care is delivered”. That is a euphemism for 'efficiency savings' - it means cuts in front-line services and it means a bed shortage. The government will say that the NHS is 'treating more people faster than ever before'. This is a euphemism for getting them in and shipping them out fast but often before they are fully recovered, and a costly revolving door as patients are readmitted in A&E. This revolving door practice is not good medicine. It is costly and inefficient and delivers poor care. English hospitals have lost 5 beds every day of David Cameron's tenure at number 10 Downing Street. So as we wring our hands again at the 'winter NHS crisis' we will be told it is due to an 'ageing population' and a lack of 'care beds'. In the sense that this is true, it is only partly so because it is in the main due to cuts. Those cuts are the result of the £20 bn efficiency saving imposed on the NHS. Think what a further £22 bn will do because that is what the NHS are asked to find in the next five years. This madness should stop!